The Minoan Snake Goddess has loomed large in my imagination for many years. She is pure feminine power, fierce, unapologetic. Dating from approximately 1600 BCE, and found on the island of Crete, this mysterious figure inspires visions of an advanced, peaceful society of goddess worshipers, governed by wise women, living in harmony with nature. Of course, in reality not much is known for certain about her, or about the society who created her, but much like the Tarot, she still manages to fascinate and create controversy as to her origins and purpose. The Snake Goddess calls to my mind the strong female figures of the RWS Tarot. As an earth goddess, she has an affinity with the Empress and Queen of Pentacles, she is the nurturing mother, a symbol of fertility, growth, comfort and authority. As the Lady of the Beasts, she has a connection with the Strength card, using compassion and courage rather than brute force. Like the High Priestess, she has been initiated into the mysteries but reveals little. 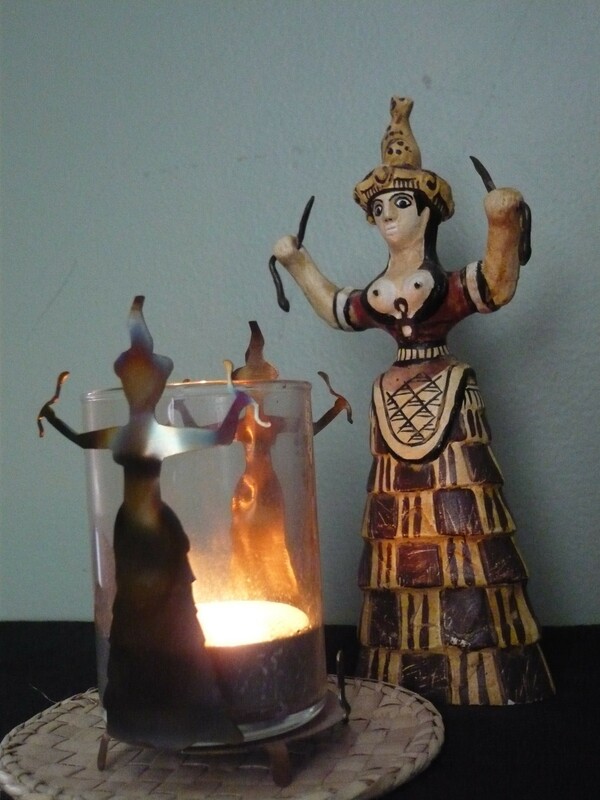 She shares the fiery confidence of the Queen of Wands, the sharp intellect and desire for truth of the Queen of Swords, and the capacity for love of the Queen of Cups. She is the epitome of empowerment. Thinking about the Snake Goddess and what she symbolizes for me, I created a 5-card spread to call upon my own inner Goddess for strength and inspiration, and to explore the theme of personal empowerment. The next time you need a little inspiration and a confidence boost, give this spread a try. Let me know how it works for you!